Spooky Hollow is an all-original, beautifully hand-illustrated/animated interactive iOS children's story. The world of Spooky Hollow takes place in a charming Halloween-themed land where many different wonderful creatures live in harmony. 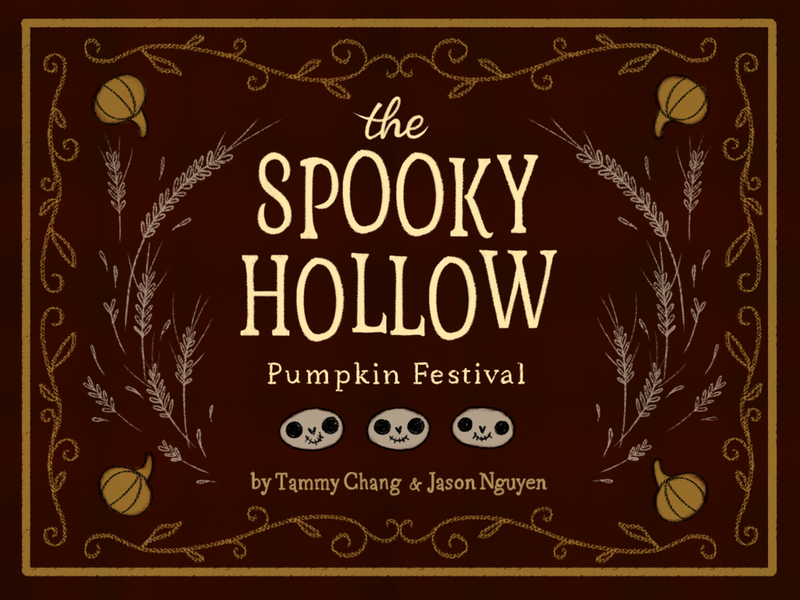 The first story of the Spooky Hollow series is: The Pumpkin Festival. "The Pumpkin Festival" tells a story of three skeleton pumpkin farmers who are growing this season's batch of pumpkins. However, one skeletons' pumpkins have grown different colors while all of his skeleton friends' pumpkins are orange! Children and adults of all ages will not only enjoy the charmingly whimsical characters and adventures of the Spooky Hollow Creatures, but also the emphasis of core values and ethics. Download the app iOS here.